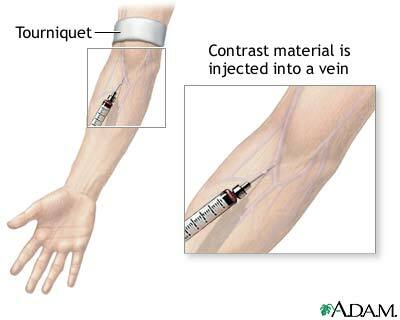 During the MUGA test, a radioactive isotope is injected into the vein. Radioactive isotopes attach to red blood cells and pass through the heart in the circulation. The isotopes can be traced through the heart using special cameras or scanners. The test is often given at rest, then repeated with exercise, or after administering certain medications. The test is performed to detect certain heart conditions.